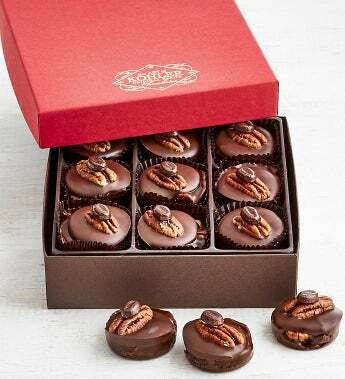 Kohler's famous Terrapins in Pecan Mocha Java especially for the coffee lover! Pecans and mocha beans in smoky caramel, with coffee flavor and 55% dark chocolate. Truly coffee-licious!